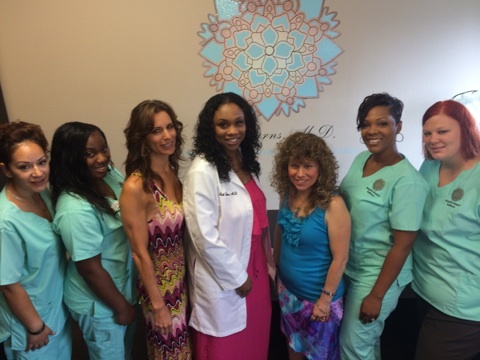 Dr. Robi Burns is the founder and Medical Director of Integrative Women’s Healthcare of Nevada. She grew up in Pacoima, California. 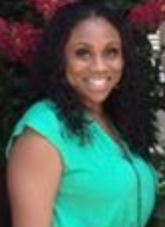 She received a Bachelor of Science degree in Biology/Chemistry from Wiley College in Marshall, Texas. After finishing undergraduate school, she worked several years as a Re-search Assistant with The Center for Human Nutrition at The University of Texas Southwestern Medical Center in Dallas, Texas. She received her Medical Degree from the University of Texas Medical Branch at Galveston. She completed her Residency Training in Obstetrics and Gynecology at Cook County Hospital in Chicago, Illinois. After finishing residency, she served as a medical missionary in urban and rural Jamaica. She taught Nurse Practitioner students for UNLV and was an Adjunct Instructor to medical students and physician assistant students at Touro University. She co-founded A Woman’s Place OB/GYN in Henderson, Nevada, where she practiced Obstetrics and Gynecology until it closed in 2014. That provided a unique and rare opportunity for Dr. Burns to develop her own practice approach. Which was to tailor the medical environment to be the patient focused holistic environment she’d always dreamed. 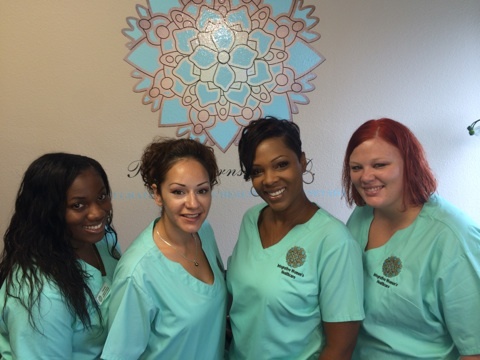 Integrative Women’s Healthcare of Nevada, a tangible representation of her passion for medicine, is the compilation of years of community service and women’s advocacy, continued medical education in nutrition and alternative medicine, and listening to women of all ages express their wants & desires for their healthcare. In a time that medicine is turning to a “cookie cutter” algorithm for all, Dr. Burns is stepping back, slowing down and providing great quality care—Treating the Whole Woman one woman at a time. Debbie, was raised in Las Vegas, Nevada. From the time she was a little girl her parents promoted the belief in working with your aura and in energy interpretation for healing purposes. Her first experience with helping people began when she started to do grief work with families in the family service department of a local mortuary. It was her first job where she’d felt she was making a difference for people. Debbie loved helping people but the heaviness of the industry took it’s toll and she shifted jobs. However, Debbie started to experience her own serious health issues which plagued her for what would end up to be the next 4 1/2 years. The doctors couldn’t figure out what was wrong. Instead all they did was prescribe medicine, debilitating Debbie all the more with their side effects. Finally Debbie felt she had nothing to lose by seeking out alternative medicine. 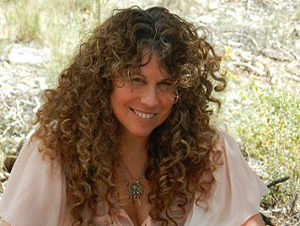 She was referred to a phenomenal holistic practitioner who was heavily skilled in energy healing and holistic medicine. Unbelievably after just a few weeks of being under the care of this holistic practitioner, Debbie’s health improved dramatically. This was a massive turning point in her life, as Debbie felt compelled to learn more about the energy work just as had been told to her she was destined to do in childhood. Debbie took a Reiki class and fell passionately in love with it. Furthermore, she was incredibly gifted with it, having natural abilities far greater then the standard new Reiki student. From that point on there was simply no looking back. It was obvious Reiki as well as additional forms of energy healing, was the kind of healing work Debbie was brought into this world to perform. Carrie attended Grossmont College in San Diego where she studied health sciences. After spending several years working as an Emergency Medical Technician in San Diego, CA, Carrie saw firsthand how good health could have prevented the majority of illnesses she treated in her ambulance. It was around that same time that Carrie was diagnosed with endometriosis, a painful condition that can cause infertility. After multiple surgeries and rounds of medications with horrible side effects, she began to lose hope of ever feeling well. She drastically changed her eating habits and adopted a regular exercising routine. Because of these changes in her health choices, her debilitating pain was lessoned allowing her to go on lower doses of medication and go longer bouts in between surgeries. Realizing her own personal health transformation yet, still desiring to help others, Carrie realized she could continue to help people live a healthy life but it didn’t have to be from the ambulance to the hospital. So in 2003, Carrie traded emergency medicine for preventative medicine and became a nationally recognized Certified Personal Trainer through the National Academy of Sports Medicine and Fitness Nutrition Coach through the National Endurance & Sports Trainers Association. Since that time, she has co founded a fitness company with her husband, Jeff, with multiple locations in both Nevada and Southern California. She continues to provide motivation and coaching support for online clients in several major cities across the United States and Canada. 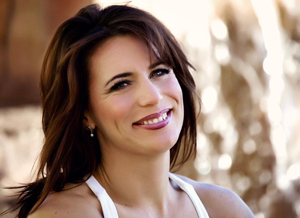 In 2007, Carrie worked for Dr. Robi Burns at A Women’s Place OBI GYN in Henderson, NV educating women in the Platinum Mommies program about prenatal and postnatal nutrition and exercise, and helping hundreds of women to achieve healthy pregnancies and postnatal recovery. In 2012, Carrie added a Biblical Health Coach Certification from The Biblical Health Institute to her list of credentials. The advanced certification encompasses holistic health & nutrition applications that help women achieve optimal health and wellness addressing all areas of the mind, body, and spirit. Carrie is a published author and has written dozens of health and fitness articles including Living Naturally with Endometriosis. Her specialties include women’s health, holistic nutrition, and functional fitness. She believes that the body is a gift from God and that we are to care for our bodies in thanksgiving. Outside of helping others, Carrie also enjoys long distance running, cooking, and spending time with her husband.